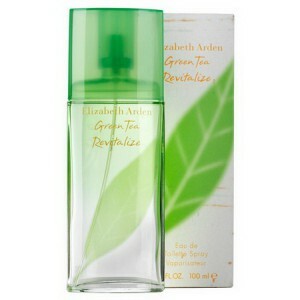 Elizabeth Arden Green Tea Revitalize is perfect for a hot summer. Elizabeth Arden Green Tea Revitalize 100ml. Eau De Toilette - Aroma Green Tea Revitalize within the female line "Green Tea" appeared in the collection of the brand Elizabeth Arden in 2006. Bright, and at the same time, fresh and invigorating aroma of Green Tea Revitalize give piquancy and lively female form, will help to cope with the daily chores on the hottest days. The original eau de toilette Green Tea Revitalize capable of much - to conquer a man's heart, to give joy to its owner, to fill her heart with happiness and enthusiasm. This fragrance for women, belongs to a group of floral scents of trees and musk. Green Tea Revitalize released in 2006. Green Tea Revitalize was created Rodrigo Flores-Roux and Claude Dir. Top notes of blood orange, tangerine and water mint; Heart notes: Magnolia, Green Tea, Bamboo and Lotus; base notes are birch, oak moss and musk. fragrance of the perfume company Elizabeth Arden is a limited version of the popular perfume Green Tea. Eau de Toilette Green Tea Revitalize brings freshness and vivacity cool chords of green tea, which is especially important in hot weather. This fragrance, invigorating the soul and heart warming. Perfume with notes of cool green tea is ideal for use on hot summer days. The composition of the fragrance is very persistent, rich and intense and can surprise even the most demanding customers. Perfume Green Tea Revitalize known for its unusual versatility, as it is ideal for any lady status, whether it be a maid or a young girl, a successful business woman or doctor. At each of its possessor scent will prove truly wonderful and every woman will open its own unique tunes. Ringtone fragrance Green Tea Revitalize can be compared with a magnificent classical music, which pours into the game symphony orchestra.